Star Wars: The Last Jedi opens this week (very excited) and so the Top Ten Show, starring John Rocha and Matt Knost, decided to do the Top Ten List of Secondary Star Wars characters on their weekly podcast. “The Pit Boss” Ken Napzok, the Schmoedown Star Wars Trivia Champion, joined the duo for this list to show his remarkable knowledge of the Star Wars universe. I listened to the podcast and enjoyed it as I do every week. As I have been doing, I will be adding the EYG choices for Top Ten Star Wars Secondary Characters. #10. Chirrut Imwe. From Rogue One, Donnie Yen created a wonderful new character who was not a Jedi, but who believed in the Force and that the Force would protect all. Chirrut was blind and extremely spiritual. He brought several funny moments to a film that could have been truly dark. #8. Admiral Akbar. IT’S A TRAP! One of the most iconic lines delivered in Star Wars by any character, despite the fact that this could have been a throw away side character. Akbar will always be remembered for that line, but he is actually quite an important character. He was also Ken Napzok’s number one character on his list, which immediately provided Akbar with credibility. #7. Lando Calrissian. Billy Dee Williams arrived in Empire Strikes Back at Cloud City on Bespin and created a character that will always be memorable. The oozy charm of Lando fit beautifully with Han Solo. The idea that Lando was in the origin story of the Millennium Falcon as the person who lost the Falcon in a poker game, something that we might get a chance to see in Ron Howard’s upcoming Solo standalone movie. #6. Saw Gerrera. Another character from Rogue One. Saw was a rebel fighter during the Clone Wars. I would have loved more with Saw in Rogue One. Part of the real epic nature of this character was the portrayal of Saw Gerrera by Forest Whitaker. The way Saw was more mechanical than human any more really spoke to the difficulty of this character’s life. 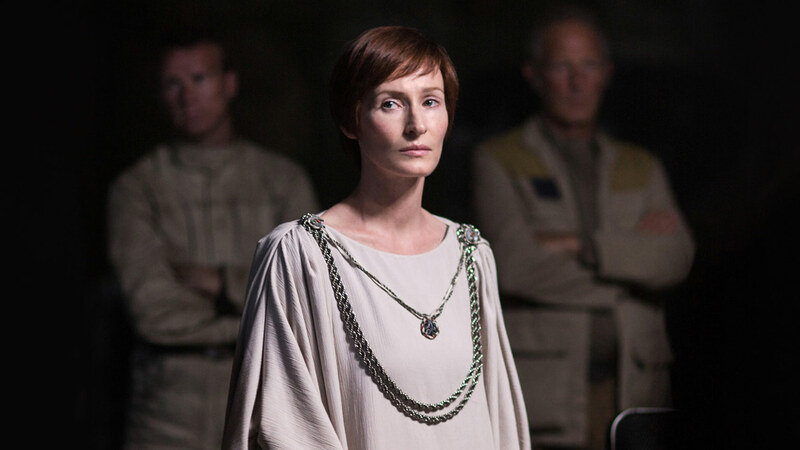 We may yet see more of this character in the history of Star Wars. #5. 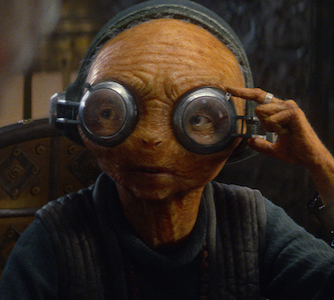 Maz Kanata. Lupita Nyong’o played a great character in The Force Awakens. She has a world of experience that we have yet to see. She had Luke’s lightsaber and was able to provide Finn and Rey a place to pause on their trip. She was someone whom Han Solo knew. There is background to her that we may see yet. Maz is a great looking character and is a great addition to the Star Wars world. #4. Boba Fett. I actually was not as much of a fan of Boba Fett as many people are, but you cannot argue that this bounty hunter had an impact on geek culture. For someone who did not have very many lines and died in a horrific way, Boba Fett was very popular. The outfit is iconic. #3. K-2SO. One of my favorite droids ever. 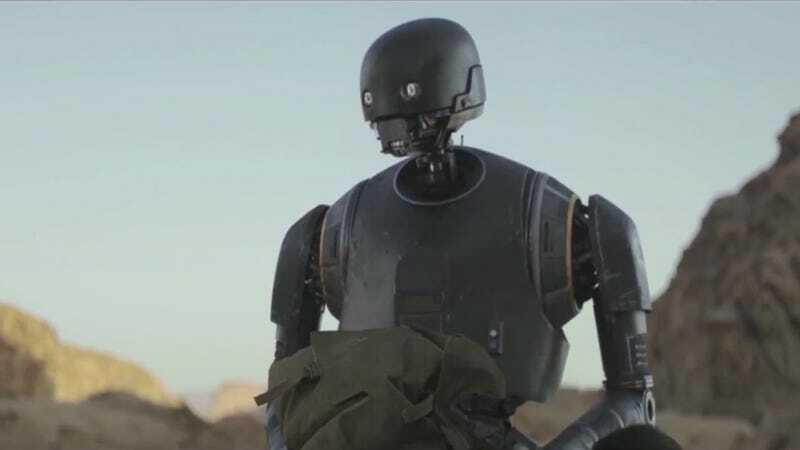 This droid, voiced by Alan Tudyk, stole every scene he was in in Rogue One and his death was one of the most emotional of any of these ill-fated characters. K-2SO was snarly and snippy and funny as can be. He was the most original droid we have seen in Star Wars and I loved him. So there we have it. Jabba is number one, which is also what the Top Ten guys decided. Honorable mention: Captain Phasma, Mac Windu, Nien Nub, General Grievous, Salacious B. Crumb, Figrin D’an and the Modal Nodes, Greedo, Wedge Antilles, Admiral Statura.